Have you ever written an FAQ or document on a website but still get people asking you the same questions? When it comes to users or customers, there’s no such thing as a bad question, but answering the same questions can become tedious. Have you ever wanted to create a bot that answers all these questions so you don’t personally have to? In just 6 minutes I will show you how you can build a bot that will automatically answer questions from an FAQ via SMS using StdLib, MessageBird, and QnAMaker.ai! 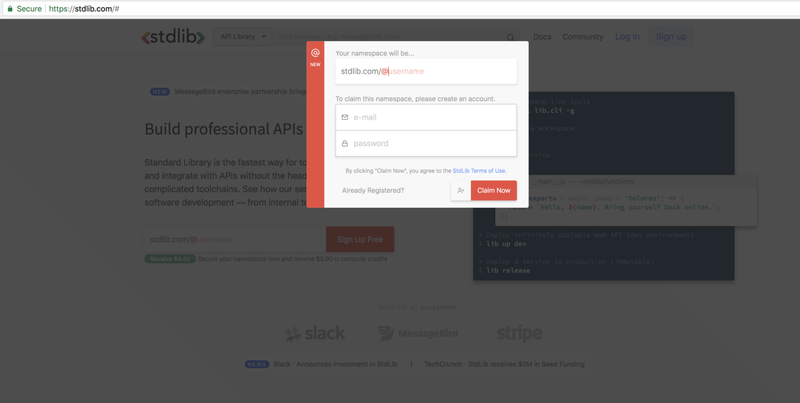 Getting started with StdLib is easy — head over to our website, click “Sign Up” and choose a namespace, email, and password. Use the credentials you created earlier. We will use the MessageBird API to send and receive text messages. StdLib makes it really easy for you to initialize a number, send and receive messages. First, navigate to the messagebird.numbers service page on StdLib and accept the terms of service. You can then test your number by sending a text message with the messagebird.sms.create function. And you should receive a text message from the number you’ve just claimed! 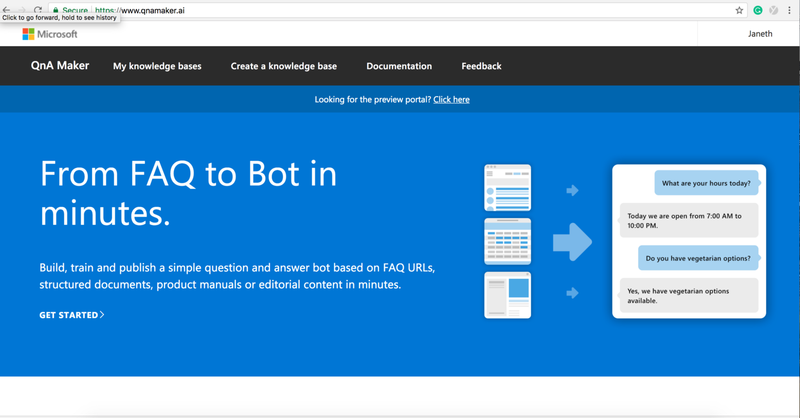 QnA Maker is a free Microsoft service that allows you to build, train and publish a simple question and answer bot based on FAQ URLs, structured documents or editorial content in minutes. 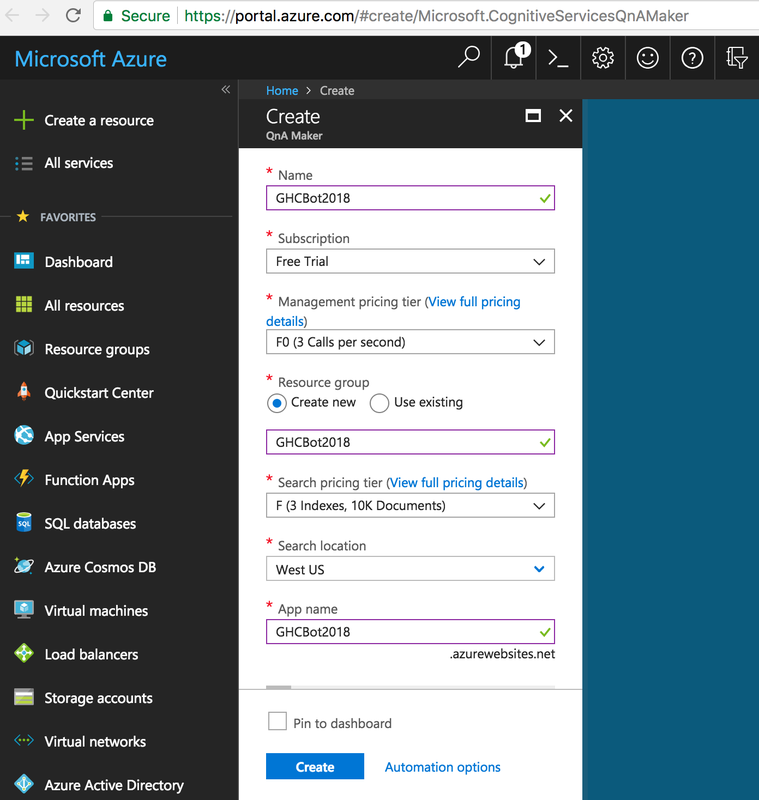 Once you have logged in to your Azure portal, go to the “Create QnA Maker” page to create your service. If you don’t have a Microsoft Azure account set up, take a minute to set your account-it’s free! Here you will be asked to fill in the name (e.g GHCBot2018) of your service. Fill this out and hit “Create”. Next return to Create a QnA Service page and select your service from the drop-downs and name your KB. Select your QnA Maker service from Drop-Downs. You will be given the opportunity to review the knowledge base you have created. You must select Save and train on the top right to save any edits you make and to train the QnA Maker model. Once you are done hit “Publish” to publish your bot. You will see a sample HTTP request page, keep it open as you will need this information later on. 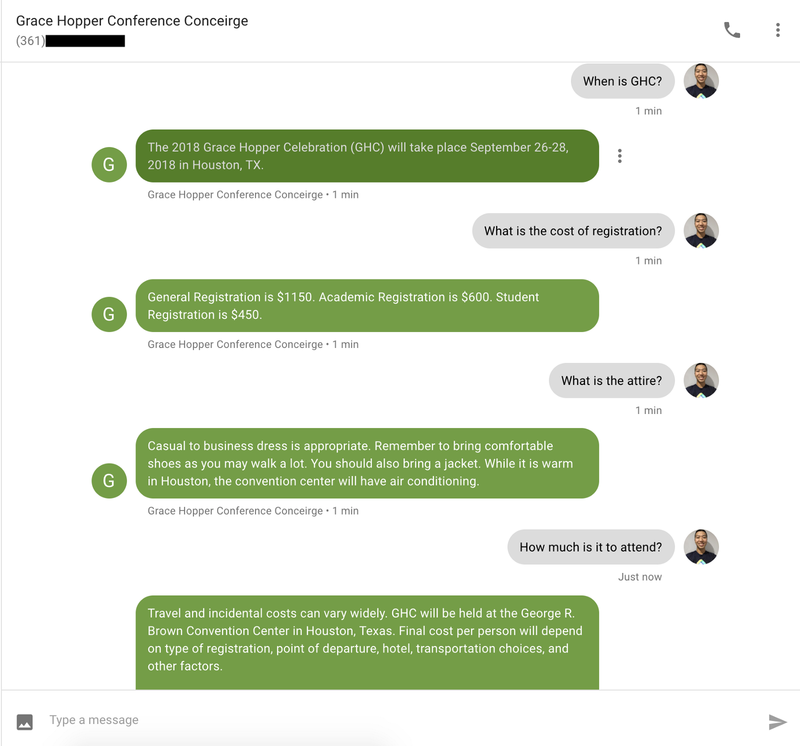 Now that you have trained your QnA service you will need a handler that will respond to incoming questions sent to your MessageBird number. Thankfully we have a template that you can start with. You’ll be prompted to give your service a name (e.g. QAService) and then hit enter to create your service directory. In order to interact with the QnAMaker.ai knowledge base we created, we will need to make a HTTP POST request. To do that we will use a common npm package — axios. We will need to install this package in our sourcecode. This will modify your package.json file and install the npm package axios into your service directory. Assuming you are in the service directory run $ code . or something similar to open the directory in your favorite text editor. For this application we will be modifying messaging/__notfound__.js as most if not all questions will trigger this handler. In line 16 and 17 you will need to fill in the uri and key from the Sample HTTP request that was provided to you by the QnAMaker.ai service. The uri e.g. /qnamaker/knowledgebases/123456abcd65efgh54 and key is the string that comes after Authorization:Endpointkey. Alternatively you can also add uri and key as environment variables in our env.json file. Due to anti-spam regulations, MessageBird’s API prevents you from sending messages with URLs in them. Please contact us about having this restriction removed at contact@stdlib.com. 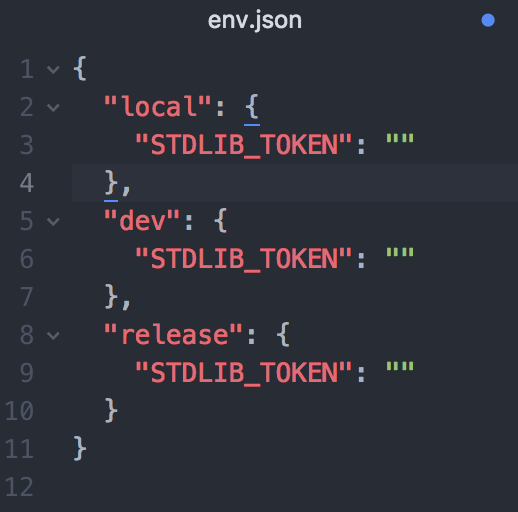 This is your StdLib auth token, click Show token to see its value and copy and paste it to your env.json file under STDLIB_TOKEN for "local" and "dev"environments. You can see a list of your claimed numbers by running $ lib messagebird.numbers.list if you need to see your claimed number again. To test your amazing new FAQ Bot simply text your claimed MessageBird Number. 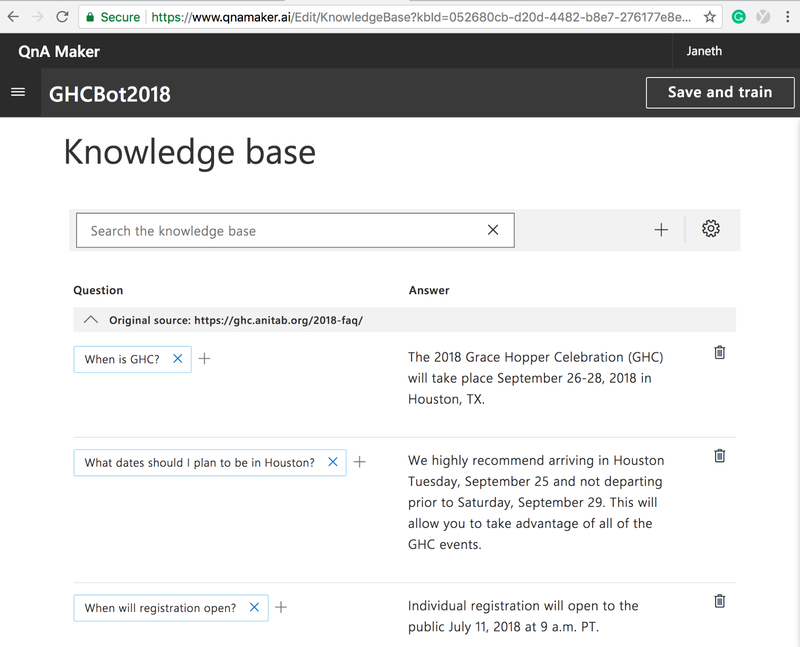 For example, I created a Concierge Bot for the upcoming 2018 Grace Hopper Celebration. That’s it! Your FAQ SMS Bot is live! Thanks for reading, and we hope we’ve been helpful showing you how easy it is to create an FAQ SMS Bot using Standard Library, MessageBird and QnA Maker. StdLib is your new API development solution, built atop serverless architecture for fast deployments and infinite scalability. To stay informed of the latest platform updates, please follow us on Twitter, @StdLibHQ, or if you’re interested in joining the team — we’re hiring! Shoot us an e-mail or resume to careers@stdlib.com.